This is my 2nd part of the review. You may read the first one here , its basically about the device itself. In this part , we will be taking a look on how’s the performance , installation related tasks , the package (and its price:performance ratio). First thing first , lets take a look at their package offering. Currently Wiggy has only 1 package (Speeds up to 10Mbps for RM 149 a month) . Keep in mind that Wiggy is targeted for business users or those who are on the go. You could clearly see that there is a data limit of 10GB (which gives more room as opposed of using 3G from Maxis or Celcom which respectively offers 3GB and 5GB data limit before you’ll be throttled to 64Kbps-128Kbps). 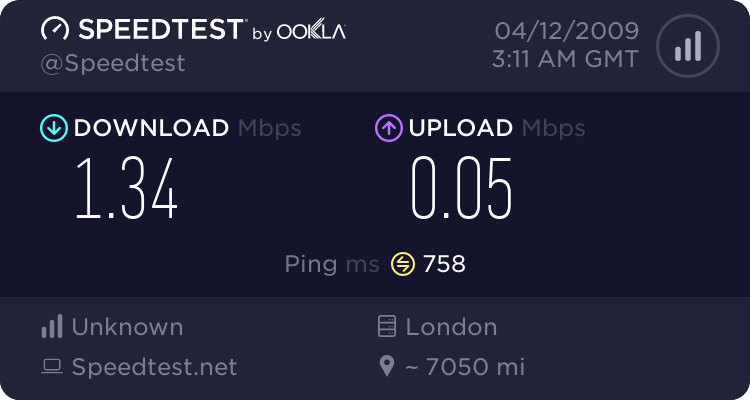 As for P1 , I was told by their staffs (no these aren’t agents , but staffs) , that the speed would be set to somewhere 2-4Mbps once you have hit the limit. 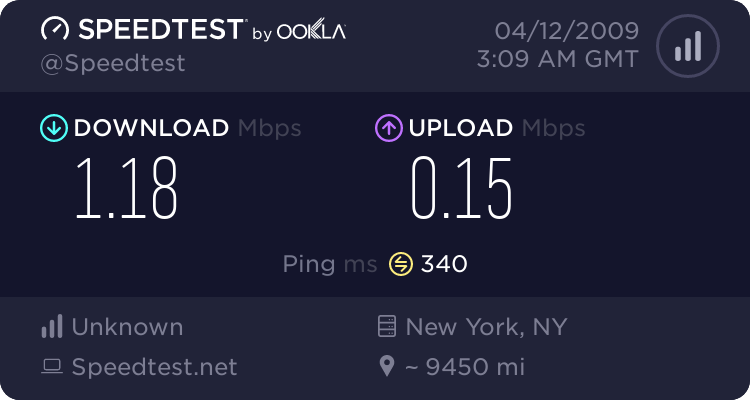 Its just that you would not able to enjoy “burst speeds” or “higher speeds”. That’s for the packaging and pricing. I do honestly , think that its a bit overpriced/expensive. They should have offered another package for light users a like for RM 88 or RM 68. Nevertheless , I’ll voice out my suggestions to P1’s Marketing & Research and Development department later on ! The software allows you to check the signal strength indicator , CINR and other information just like how you would do with the desktop counterpart. It also includes a log system which logs the amount of data you have sent and received (a great way to keep track of your Internet Usage). However it doesn’t report or warn you once you are about to exceed the limit or you have exceeded the limit . It would be great if it had that ! I did tests for megaupload and and found out that I was only able to get around 80-100 KiloBytes/sec only. As for mediafire , I was not able to do the tests as it kept redirecting me to to the download page ! I did test out Skype and it was fairly poor due to latency. The clarity of the voice is so-so and its not as good as in streamyx. In other words , the quality is like it would sound if you use a cell phone. Not too bad , if you just plan to do some casual conversations. Those who were expecting skype’s superior voice quality may be disappointed a bit . Other then that New York Times loads quite fast. VPN works fine (both PPTP/IPSec) as P1 does not block these ports – Most Wireless Service providers such as Maxis and Celcom does it – unless you specifically inform them to unlock or opt for their business packages. As for OpenVPN , it works fine. So if you plan to connect to your company’s Intranet. It shouldn’t be a problem ! That’s all for the 2nd part of the review. “It takes couple of minutes to obtain an IP address” : You’re serious? This is a very neat review on applications. How about YouTube streaming? I can help you to speedtest more area. This would be the best one where I compare between streamyx and P1. Thanks for the review. I am thinking to get P1 but not sure whether the Wiggy will receive good signal from the transmitter or not. For those who are thinking of getting the Wiggi please reconsider as I think the service sulks at least in my area in cheras. The Speed advetised is 10MBPS and in small prints says from 1MBPS to MBPS. Im currently staying on the 13th Floor and P1 said that I will receive inconsistant speed at that floor. They claimed that the service is up to 10th floor only. Yeah right if I had not been to Penang! In Penang I was able to get a bit more than 3MBPS on the 21st Floor which is fine for me and I told them of that fact. Now in the morning will get around 0.8 to 1.5MBPS but in the evenings I get less that 0.5MBPS. After logding a report for 2 weeks the technical team still has not got back to me. I believe it is due to congestion proble ad also the poorly skilled technical man power in KL as compared to KL. I believe it is due to congestion problem and also the poorly skilled technical man power in the installation of the base station and also support in KL as compared to Penang. Whatever you’re decision will be, please do not sign up with P1!!! The speed is ridiculously disgusting!!! Mine is a 1200kbps package RM99 per month, and the speed is only 120kbps, sometimes even reaching 96kbps only!!!! No joke, anybody don’t believe me can come and have a look. Phoned up P1 4 days ago but still haven’t solve my problems yet. Happened to me every month. It never fails to amaze me how many IT retard there is in Malaysia who only knows how to complain, but cant use their time to find out more about the difference between big B and small b. For simple use of illustration, if yr speedtest shows 0.96Mbps, then that it is good as the package you subscribe is 1.2MBps (theory download at 150kB/s). the big B. Sometimes it reaches 1Mbps, sometimes it doesn’t. Best effort. so to vostro, if you still cant understand, i think u better use 56k modem since u are retarded anyway to study, only know how to complain. p/s: yes i know i am rude. but only to stupid ppl. this world there are 2 kinds of stupid ppl. i hate only the 2nd type. these type are the stupid but they dont know they are stupid type. the 1st kind is ok, they ask whatever they dunno. this kind i will explain properly. But vostro is 2nd type of stupid. give me problem at the most crucial moment of my trading? BTW, when is the other two wimax launching or are they out already??? Again you should test out the service cindy. To be frank , you’re worst off with Maxis service unless you care about coverage and you want always on the go service and you don’t care much bout speed ! Thanks pradeesh for your reply. But what do you suggest, is P1 wimax better than Izzi or Streamyx or Digi? Which would be less likely to disconnect suddenly? Frankly speaking, we don’t have much of a choice, do we? At least P1 guys are friendly , DiGi seems to be catching up to. I’m using P1 for a few months now. RM49 package. Download speed 545kbps and upload speed 88kbps. I’m in Penang. So far I must say I’m happy with the customer service. Anything I write in I get a call within the next day or two. Sometimes I can’t pick up the call they will call a few times more and very helpful. *Touchwood* Planning to give mine away to a friend to continue the contract then take the Wiggy. I stay in apartment under 10Flr. Once I get the wiggy maybe I go up Komtar and test let you know. Hahahahaha…..
By the way I must mention that the speed is significantly faster after offpeak times in my area (Jelutong/Perak Road). After 11 or 12am I think I’m getting faster speed than the package’s upload speed 400kbps. Gosh , my mind now is filled up with pros n cons with this Wiggy. Some people in lowyat forum said that Wiggy is not like wht it said to be. Currently using streamyx paid up for RM111 per month and since December 2009 to this day 23rd Jan 2010, the max download speed is only 20kbps. I’m in dillema to choose either p1 wiggy or celcom broadband. I also need stable connection for my forex trading. Some people say that p1 is the stablest network. IS iT?